Since our inception, we are engaged in formulating and supplying an exclusive range of Acetanilides. Our range comprises Acedoben, Acetaminosalol, Acetanilide and Acetarsol. Available in various size of packings, our chemicals are known for their precise pH value, skin-friendly and longer shelf life. Moreover, we check all our chemicals on various parameters to ensure zero impurity. 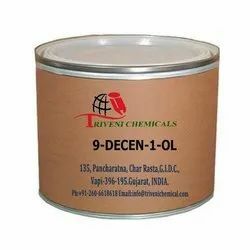 9-Decen-1-Ol (13019-22-2) is solid. it is also known as it is use in perfumery, food flavours, Aromatic cosmetic Soap Detergent and Fraganance Industry. Storage: Keep container tightly closed. Keep container in a cool, well-ventilated area. Para Cresyl Phenyl Acetate (101-94-0) is solid. 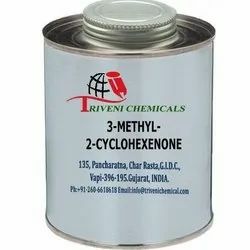 it is also known as P-tolyl phenylacetate p-Cresyl Phenylacetate Phenylacetic Acid p-Cresyl Ester and Phenylacetic Acid p-Tolyl Ester. it is use in perfumery, food flavours, Aromatic cosmetic Soap Detergent and Fraganance Industry. Storage: Keep container tightly closed. Keep container in a cool, well-ventilated area. 2-Tetradecenal (51534-36-2) is colorless to pale yellow clear liquid. it is also known as it is use in perfumery, food flavours, Aromatic cosmetic Soap Detergent and Fraganance Industry. Storage: Keep container tightly closed. Keep container in a cool, well-ventilated area. 3-Hexenal (4440-65-7) is colorless clear liquid. it is also known as it is use in perfumery, food flavours, Aromatic cosmetic Soap Detergent and Fraganance Industry. Storage: Keep container tightly closed. Keep container in a cool, well-ventilated area. 3-Methyl-2-Cyclohexenone (1193-18-6) is liquid. it is also known as 3-methyl-2-cyclohexen-1-one. it is use in perfumery, food flavours, Aromatic cosmetic Soap Detergent and Fraganance Industry. Storage: Keep container tightly closed. Keep container in a cool, well-ventilated area. 3-Nonen-2-One (14309-57-0) is liquid. it is also known as Methyl Heptenyl Ketone. it is use in perfumery, food flavours, Aromatic cosmetic Soap Detergent and Fraganance Industry. Storage: Keep container tightly closed. Keep container in a cool, well-ventilated area. 4-Methyl-2-Phenyl-2-Pentenal (26643-91-4) is colourless liquid. it is also known as Cocoa Pentenal and 4-Methyl-2-phenylpent-2-enal. it is use in perfumery, food flavours, Aromatic cosmetic Soap Detergent and Fraganance Industry. Storage: Keep container tightly closed. Keep container in a cool, well-ventilated area. Butyl Levulinate (2052-15-5) is light yellow liquid. it is also known as Levulinic Acid Butyl Ester 4-Oxovaleric Acid Butyl Ester and Butyl 4-Oxovalerate. it is use in perfumery, food flavours, Aromatic cosmetic Soap Detergent and Fraganance Industry. Storage: Keep container tightly closed. Keep container in a cool, well-ventilated area. Cis-2-Hexen-1-Ol (928-94-9) is colourless clear, liquid. it is also known as cis-1-Hydroxy-2-hexene. it is use in perfumery, food flavours, Aromatic cosmetic Soap Detergent and Fraganance Industry. Storage: Keep container tightly closed. Keep container in a cool, well-ventilated area. Cis-3-Hepten-1-Ol (1708-81-2) is liquid. it is also known as it is use in perfumery, food flavours, Aromatic cosmetic Soap Detergent and Fraganance Industry. Storage: Keep container tightly closed. Keep container in a cool, well-ventilated area. Cis-3-Hexenoic Acid is colourless liquid. it is also known as it is use in perfumery, food flavours, Aromatic cosmetic Soap Detergent and Fraganance Industry. Storage: Keep container tightly closed. Keep container in a cool, well-ventilated area. Cis-4-Hepten-1-Ol (6191-71-5) is liquid, clear colourless. it is also known as it is use in perfumery, food flavours, Aromatic cosmetic Soap Detergent and Fraganance Industry. Storage: Keep container tightly closed. Keep container in a cool, well-ventilated area. Resinoid Benzoin is powder. it is also known as it is use in perfumery, food flavours, Aromatic cosmetic Soap Detergent and Fraganance Industry. Storage: Keep container tightly closed. Keep container in a cool, well-ventilated area. Ethyl 2-Octenoate (2351-90-8) is colourless liquid. it is also known as 2-Octenoic acid ethyl ester. it is use in perfumery, food flavours, Aromatic cosmetic Soap Detergent and Fraganance Industry. Storage: Keep container tightly closed. Keep container in a cool, well-ventilated area.
. it is also known as Sorbic Acid Ethyl Ester and Ethyl trans,trans-2,4-hexadienoate. it is use in perfumery, food flavours, Aromatic cosmetic Soap Detergent and Fraganance Industry. Storage: Keep container tightly closed. Keep container in a cool, well-ventilated area. Cis-3-Hexenyl Tiglate (67883-79-8) is colourless liquid. it is also known as cis-3-Hexen-1-yl Tiglate and Tiglic Acid cis-3-Hexen-1-yl Ester. it is use in perfumery, food flavours, Aromatic, cosmetic, Soap Detergent and Fraganance Industry. Storage: Keep container tightly closed. Keep container in a cool, well-ventilated area. Looking for Soap Detergent ?